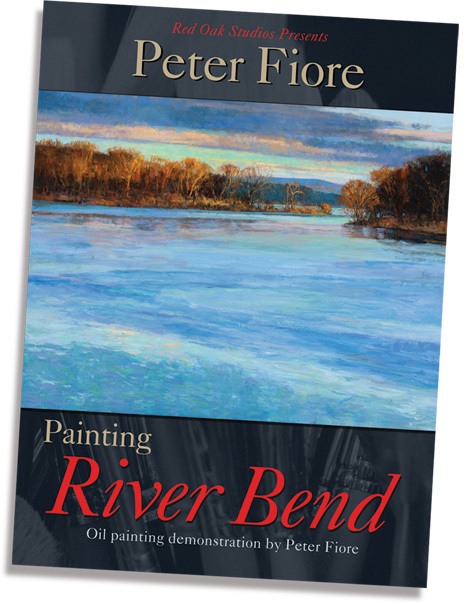 In Peter Fiore's 5 hour painting demo DVD, River Bend, you will witness his painting emerge from photo reference through it's completion. You will see it all, the painting created mix by mix and stroke by stroke, as well as a tour of Peter's studio and discussion of his process throughout. Strategy, tips and professional insights from tool selection and organizing a palette to making color and applying it to your painting. Concept and design, value structure, glazing and more. 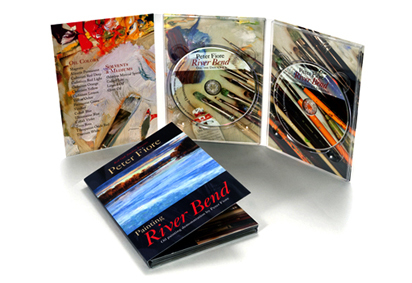 Whether you are a beginner or seasoned painter, improve your skills with this DVD. If you prefer to pay by check or money order, make check out to Peter Fiore and send to Peter Fiore, P.O. Box 222, Matamoras PA 18336. PA residents add 6% sales tax. Be sure to include your shipping address! Copyright © 2016 Peter Fiore. This film is for private home viewing only, all other rights reserved.